The court says the trawler “Remøy” was catching shrimps in Russian waters without necessary permits. Captain Ketil Ervik was not present in court, but a Norwegian lawyer representing the company and representatives from Norway’s Consulate General were present when the court on Wednesday announced its ruling. It is Bloger51 that reports about the 69.5 million rubles fine (€1 million). Also Russia’s news-agency Interfax reports about the ruling. Additionally, the company that owns “Remøy” is fined 139 million rubles (€2 millon), Bloger51 reports. The court ruling says the fine must be paid within 60 days. 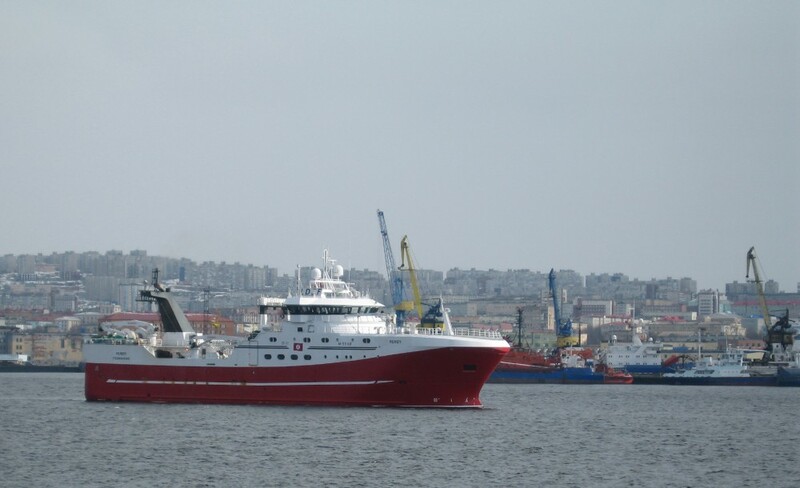 The original claims against the company amounted to almost 600 million rubles (€9.3 million), a sum based on the market price of the shrimps caught by the trawler «Remøy» during its three weeks of fishing in Russian waters this spring. “Remøy” was arrested by the Russian Coast Guard on May 11 and taken to Murmansk. The crew had to stay on board for some weeks before being allowed to travel back to Norway. The Norwegian Fishery Directorate soon confirmed that an administrative error on the Norwegian side had been the reason for the detention of the «Remøy». The trawler had applied for license to shrimp catch as part of a Norwegian quota in Russian waters. The license was issued, however the documents submitted by the Directorate to the Russian side included mistakes. The Russian prosecutors however still argue that the Norwegian ship captain failed to comply with Russian regulations and that he was personally responsible of double-checking the permissions issued. After hectic diplomatic efforts, the ship was on 2nd June allowed to leave back to Norway after three weeks of arrest in Murmansk.